This video is pretty funny because I am SO DEAD in it! I mean, can I perk up a bit for these shoots?? My goodness! In my defense it was about 10PM and I wasn’t feeling so hot. 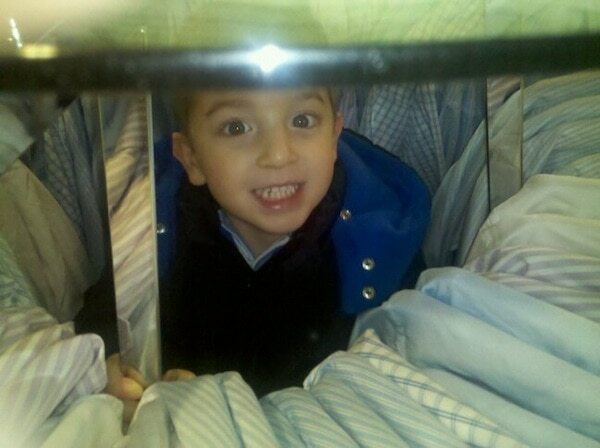 And just for fun, here’s my son hiding in the store while we were shopping. PS – I told Bill he should have done his haul and he said next time he will make the video. Going to keep him to his word!!! What was it about last night? I mean I felt like I was dying for a couple hrs…I had flu-like symptoms. Anyhow, you did just fine, Vera. I love Natalie’s pink w/navy fleece.